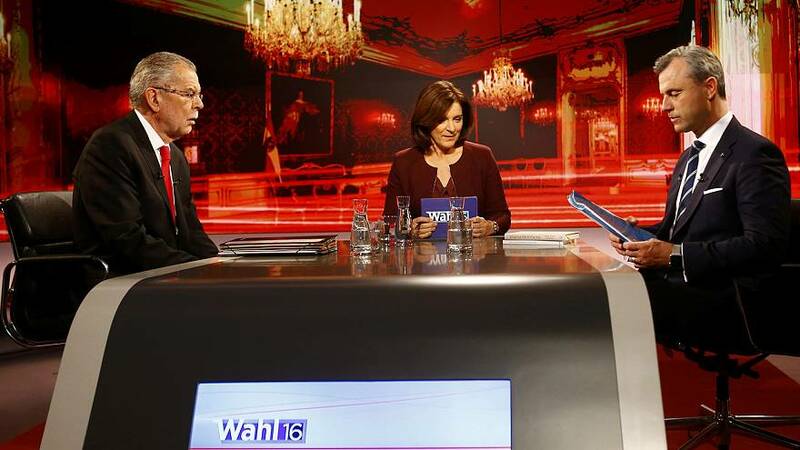 The final Austrian presidential debate was a less than cordial affair. With right wing populist candidate Norbert Hofer and his liberal opponent Alexander Van der Bellen neck-and-neck in the polls ahead of Sunday’s vote, the televised event was one their last opportunities to battle for votes. And battle they did. Both politicians flung outlandish accusations across the table, each armed with a folder full of contentious statements made by the other. When the mediator on public broadcaster ORF tried to get the debate back on track, it was brief. Speaking of the recent election of Donald Trump, Hofer said he believed the US will develop in a positive way. After Trump there will be another president, and another and another, he said, and we will have positive relations with the US for decades to come. Van der Bellen, a self described critic of the Trump campaign, emphasised the need for Europeans to band together to define and defend interests and values. By the end of the evening, both candidates had lost patience with one another. Hofer accused Van der Bellen of having been a communist and a spy, while the left wing candidate called his opponent a mean liar. There was no love lost between the pair, and both will be pleased that their paths may not cross for a long while.